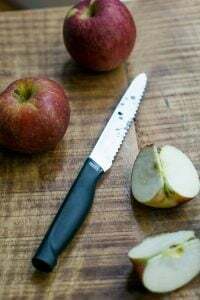 The great thing about writing a single-subject cookbook is that you really get to explore one specific topic, which involves not just sharing what you already know, but what you’ve learned about the subject. When people ask me how I can tell if a cookbook is good, I say that if I read the headnotes and the author talks about the process they went through the get to the recipe, from testing various ingredients to discussing what worked (and sometimes, what didn’t), you get a sense of how thoughtfully the recipes were put together. 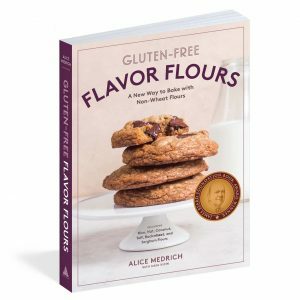 I’ve been a fan of Alice Medrich for years and her most recent book, Flavor Flours, tackles the subject of using different kinds of flour to create a new palette of flavors in desserts. Like Good to the Grain, Alice found that replacing wheat flour with other kinds flour yields results that often surpass their wheat-based counterparts. When I was writing The Perfect Scoop, I was talking to Italian food expert Faith Willinger about gelato and she told me that in southern Italy, where summers are especially hot, gelato is thickened with starch, rather than egg yolks. The starch makes it less-rich, and easier to eat when the temperature soars. I was intrigued, and came up with a Fleur de lait ice cream thickened with cornstarch, rather than egg yolks, to keep the flavor, or fleur (flower) of milk, in the forefront. A few years later, a “ground-breaking” recipe appeared in a newspaper, which many people excitedly forwarded to me, announcing a radical method for making egg yolk-free ice cream using—yup, starch. Got it. I didn’t invent it, but had a discussion about it a few years later with Alice Medrich, who told me she was working on a project that involved ice cream. (Some authors, myself included, don’t like to talk too much about what we’re working on – usually because we aren’t quite where it’s going ourselves!) So I didn’t push it. Then Flavor Flours came out, filled with recipes that use all sorts of flours, to boost and dial-up flavors, while still being as delicious as the rest of the recipes that Alice Medrich is known for. Flavor Flours was released in paperback with the words “gluten-free” more prominently on the cover, since the flours that she uses in the book—oat, rice, buckwheat, teff, and sorghum, among others, don’t have gluten. I’ve never understood why people are so anti-gluten-free. 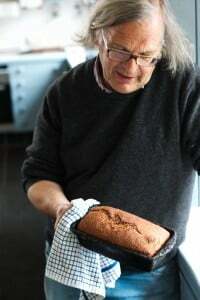 I love using buckwheat, polenta, teff, and nut flours in recipes. They taste so good! And this recipe is no exception. The idea of using sorghum as a base for ice cream appealed to me. Someone had given me a bottle of sorghum from the south (of the U.S.), and I didn’t want to keep it in the “too good to use” cabinet, so I put it to use in the ice cream. I also made a sorghum-based peanut brittle to go alongside, which Alice also had in her book, but mine was less toothsome, and more snappy, so I swapped mine out. It was the perfect pairing. Ice cream adapted from Flavor Flours by Alice Medrich. 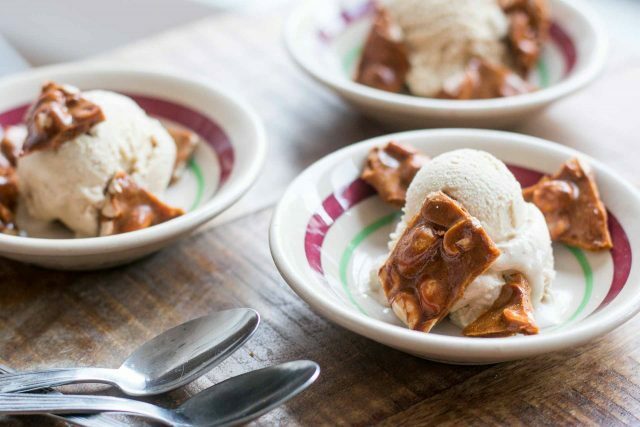 Peanut brittle adapted from The Perfect Scoop.This ice cream by itself would be wonderful paired with a fruit pie, crisp, tart, or a slab of gingerbread. 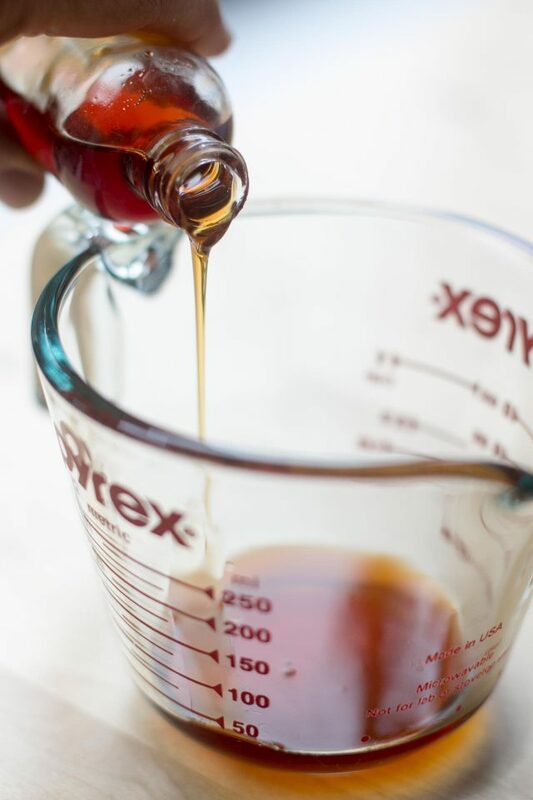 Sorghum syrup is available in some well-stocked grocery stores and online. 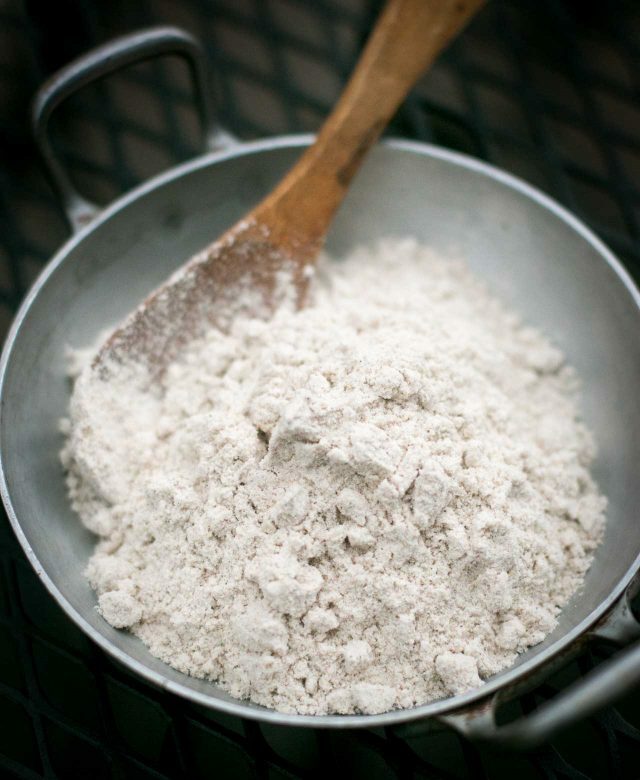 Sorghum flour is also available online and at natural foods stores.Leftover sorghum flour can be used in other recipes, such as in pancakes and waffles, dosa, Indian flatbread, and "Graham" crackers. 1. To make the ice cream, in a medium saucepan, whisk together the sorghum flour, sugar, and salt. Gradually whisk in the half-and-half and milk. 2. Cook the mixture over medium heat, stirring constantly with the whisk, making sure you're scraping the sides and corners of the pot, until the mixture comes to a simmer. Continue to cook, moderating the temperature so the ice cream mixture stays at a simmer, for 3 minutes, until thickened. Remove from heat and stir in the 1/3 cup (100g) sorghum syrup. Pour into a bowl and chill thoroughly in the refrigerator, preferably overnight. 3. Freeze the ice cream in your ice cream maker according to the manufacturer's instructions. Once churned, transfer the mixture to a container and store in the freezer until ready to use. 4. 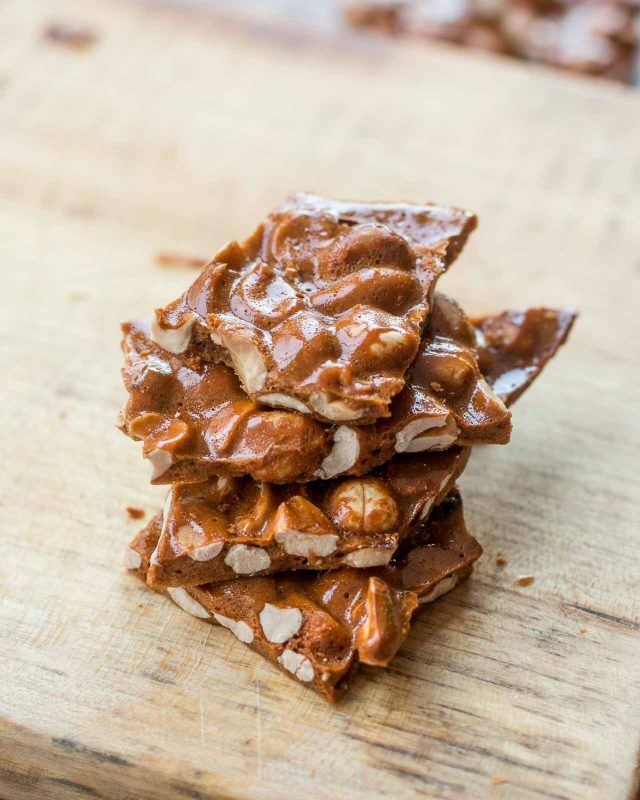 To make the sorghum peanut brittle, line a baking sheet with parchment paper. In a medium saucepan fitted with a candy thermometer, bring the peanuts, sorghum syrup, sugar, and water to a boil. Cook, stirring only enough to keep the syrup from burning (sorghum is heavier than corn syrup or other invert sugars, so it tends to cook more rapidly) until the mixture reaches 260ºF (126ºC). 5. Remove from heat, remove the thermometer, and immediately stir in the baking soda. Quickly scrape the mixture on the prepared baking sheet and spread the brittle with a spatula so the peanuts are in an even layer. Let cool completely, then break into pieces. 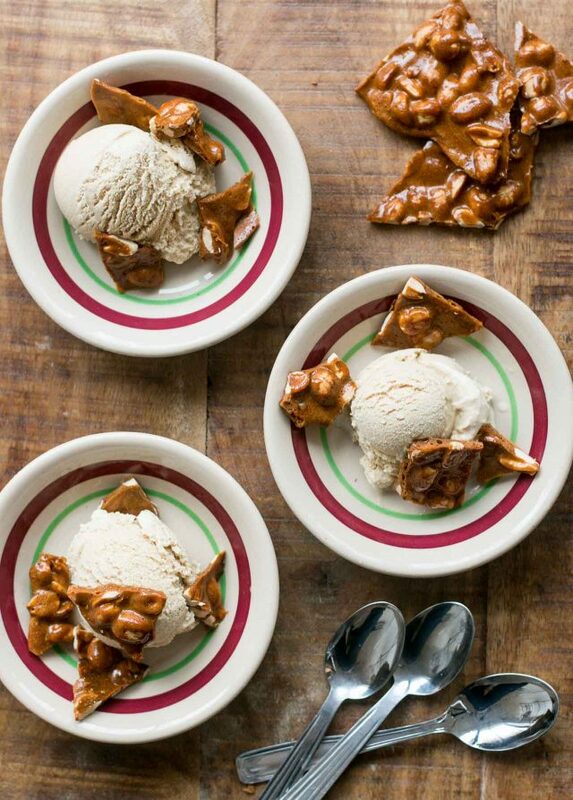 Serving: Serve the ice cream with pieces of the peanut brittle. Storage: The brittle can be stored in an airtight container for up to two weeks, at room temperature. 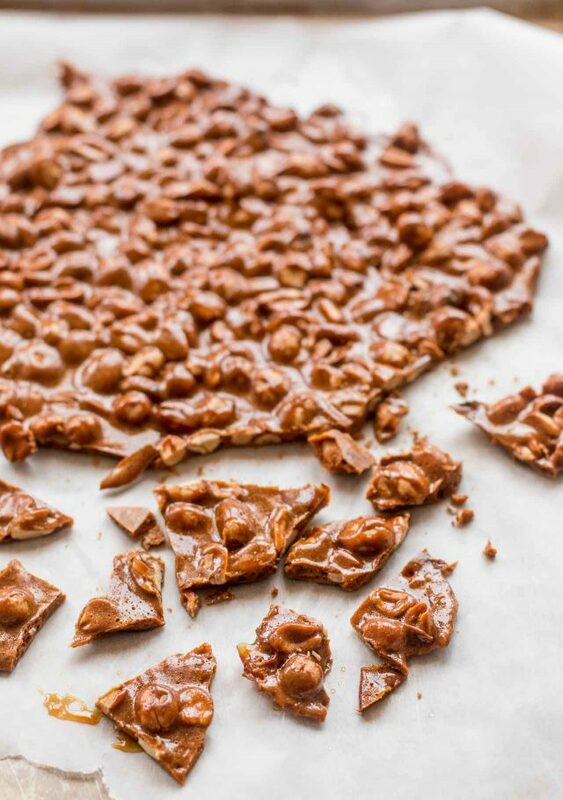 This brittle looks just delicious! I can’t wait to try it. I never used sorghum before, but you really got my curiosity about this ingredient, so I’ll get to the store soon. 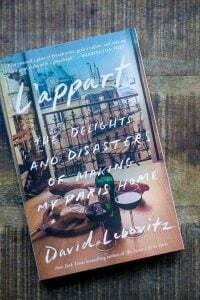 I’m with you about what you wrote about cookbooks and the process an author must past while writing, exploring and creating a new recipe. Happy holidays! So… tomorrow night I’m bringing a cake to the home of my only American friend in Paris, but she LOVES ice cream above all other desserts. You may have to do a search for it online. It’s called sorgo (or sirop de sorgo, for the syrup). It’s not a crop that is widely grown in Europe, but I know that it’s available on Amazon the UK if you want to mail order it. I think Indian stores might carry it because it’s used in Indian cookery. I believe it’s called jowar so may be available in the Indian and Sri Lankan quartier in the 10th, behind the Gare du Nord. Good luck! Will try this as part of mry gift treats this holiday. The brittle looks very good. 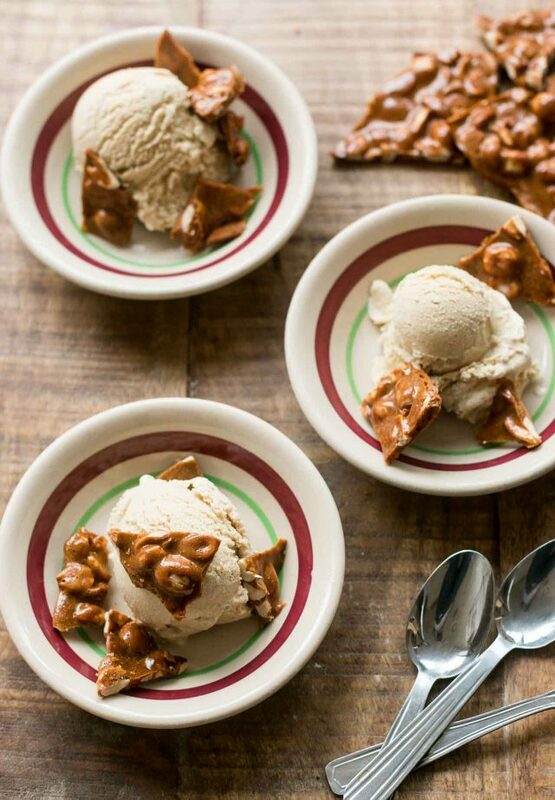 Looks delish and I can’t wait to get back to my ice cream maker and try this. Re ‘gluten-free’ – I don’t think people are anti-GF, but very much over the ballyhoo that the big food chaps have capitalised on to create new markets. They did the same with diabetes under the guise of being caring. Hence, I have seen items as simple as apples labelled as GF. I often wonder if the fad diets are what contribute to the food sensitivities and allergies so common now. 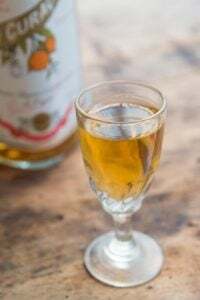 By the way, many Mexican grocers sell the sirop de sorgo. I went gluten free after thirty years of itching all over my body and having had many, many allergy tests.Within 30 days of being GF most of my itching diminished. When I do have occasional bits of gluten, my skin now goes into patches of itching as a reaction.I have a gluten sensitivty and am thankful for so many new GF recipes. First buckwheat and then sorghum — you’re hitting all the old-time flavors from my family in the mountains of southwest Virginia. Of course for them that would have meant pancakes and syrup, but still. The Parisian thing is really just an act, right? Living in the South (of the U.S.) I can do this easily! (Especially as it was 79º today). I’ll give you a phrase a friend gave me this summer in return – The brain cannot create and critique at the same time. I have that written out where I see it daily. It’s helped immensely. It’s not that we are anti gluten, it’s the reaction to over zealous market that feels the need to tell us that oat meal is “gluten free” and other similar marketing strategies. I really don’t need to be told that my milk is “gluten free” and I’m darn sure that anyone with celiac disease doesn’t need that information either. Thank you so much for featuring this! I adore Flavor Flours and bake from it very often. As someone with celiac, I love being able to bake with whole grain flours–which always have more depth of flavor than a simple 1-1 flour blend, names withheld. 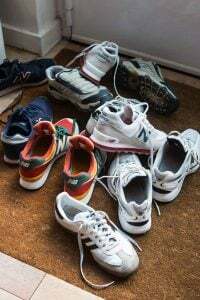 (Not that I don’t use them when I’m being lazy . . . they just aren’t as delicious!) This recipe will definitely get a tryout in my new ice cream maker. As for why people are anti-gluten–they think it is a fad, like fat-free or sugar-free. They don’t have understanding of celiac as a serious autoimmune disease with real consequences if gluten is consumed. As other commenters have pointed out, it’s become a marketing strategy, which isn’t really a plus. It’s a great book and nice that the recipes in the book feature so many delicious grains. As others have pointed out, in some ways, it can be seen as a fad; I was surprised when I was in the U.S. and saw so many Betty Crocker, etc, cake and cookie mixes have been formulated to be gluten-free, which is prominent on the label. I guess those products are no longer “niche” items. I have several friends who are celiac, and have been for decades, so I know it’s not a fad. But you’re right that in many ways, it’s become a marketing strategy. 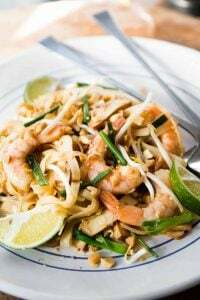 Absolutely in love with this recipe! Definitely inspires new baking techniques. Sorry to leave this message here, but the comments on the actual post are closed. 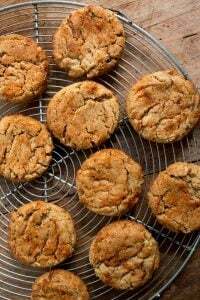 I just made the Chez Panisse ginger snaps. OH. MY. GOD. one word: Kryptonite. 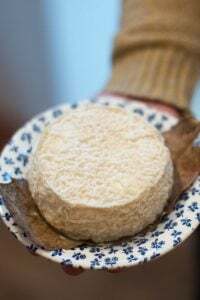 Thank you so much for your Thanksgiving post about Vivian Howard’s cheeseball. I can’t tell you how many times I’ve made it since then and given out the recipe. Family and friends keep asking me to make it again or want the recipe. It’s been a huge hit. Then they call me up and tell me how their family fights over the leftover cheeseball. It’s rather ironic that sorghum was often grown as a way for folks to have sweetener in the south and other rural parts of the US. My folks would raise a stand of it in the summers in western Wisconsin and would take the stalks to the processor to make up into syrup. It’s sort of known as poor man’s syrup. My mother uses sorghum where molasses is noted in recipes as she finds molasses to be too bold. She’s 84 and has very clear opinions. Happy holidays and happy new year. 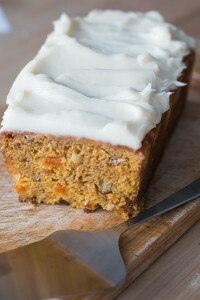 I enjoy the blog and look forward to having a go at the sorghum brittle. I grew up in Louisiana and have always loved sorghum. We have photographs of sorghum that our grandfather grew to feed his mules. This year, I’ve been using it whenever a recipe calls for honey and sometimes just to replace sugar. 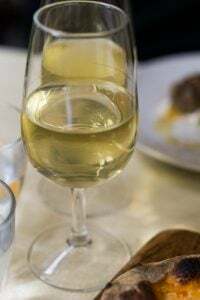 It’s wonderful in vinaigrettes, gives them a rich flavor unlike other sweeteners. I will try these recipes…when I recover from the holidays! Many thanks for your blog and your books, always delightful!